I like lamb, but I’m not big on mint jelly. Call me crazy, but I don’t want my meat to taste like a Shamrock Shake from McDonald’s. 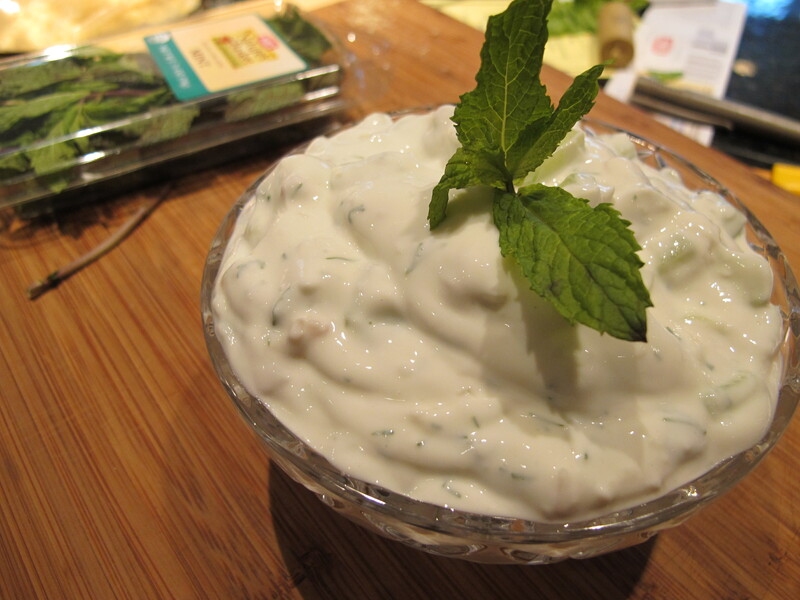 A few years ago, in an effort to find a better condiment, I starting making my own Tzatziki sauce. Tzatziki can be eaten with any meat – or even just with pita – but the creamy coolness of the yogurt and the combination of mint and dill goes particularly well with a slightly gamey lamb. A few notes about preparation: The easiest way to get the garlic incorporated is the grate it over a zester or a fine microplane, though you could also mince it and make a paste with salt. And, make sure the cucumbers have been seeded and patted dry before dicing, you don’t want to water down your mixture. Finally, the fat content of the greek yogurt doesn’t really matter, as long as the thick consistency is still there. Put yogurt into a large mixing bowl, add herbs, garlic, shallot, and lemon juice and zest. Mix (with a spoon, not a beater) just to combine. Fold in cucumbers (you don’t want to over mix). Taste, add salt and pepper to your liking, greek yogurt already has a strong flavor. Let sit at room temperature for 1 hour, or refrigerated for 1-2 hours, for best flavor. Voila.